Harlequins have signed scrum-half Luke Baldwin on a short-term loan from Worcester as injury cover. Baldwin, 28, joins following injuries to Harlequins pair Danny Care and Charlie Mulchrone. 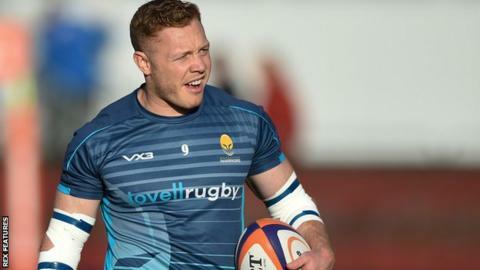 Former Saracens and Bristol number nine Baldwin has only featured in the Premiership Cup and European Challenge Cup for Warriors this season. "Luke will strengthen an area where we currently have a few injuries," Quins head of rugby Paul Gustard said.